Days of Our Lives (DOOL) spoilers and news indicates that Kassie DePaiva will be on her way back to Salem as Eve Donovan as she recently shared some great news with her fans via Twitter. Kassie DePaiva says she is cancer free and that her treatment was a success! In an August 2016 Twitter post, Kassie DePaiva publicized some bad news about her health. She’s been fighting a very serious disease, acute myeloid leukemia, and decided to address her health issues on social media and told her viewers what had been going on with her. 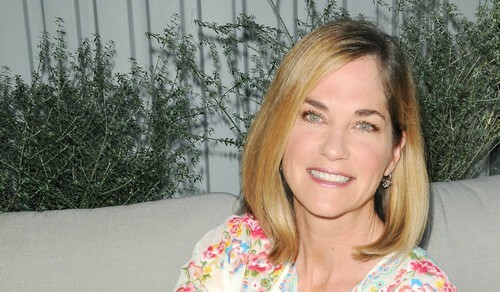 Kassie DePaiva informed her followers recently that she was asked to reappear on Days of Our Lives as the character of Eve. DePaiva gleefully accept and immediately began filming some scenes which should air later this month. However, DePaiva’s return was interrupted a short time after this declaration was made. During the July 2016 break, DePaiva received some distressing news from her doctor. She was diagnosed with acute myeloid leukemia, a nasty form of cancer. After several months of vigorous treatments and being in the hospital for many weeks, DePaiva reached the end of her battle – Finally! On February 4, 2017 made a shocking announcement to her fans on Twitter. As many will recall, DePaiva posted a message on social media a few months ago and assured her fans that she still had several more months of treatment to go, but she remained hopeful about the future. She stated that “My prognosis is good. She continued by stating “I will not likely need a stem cell/bone marrow transplant, and we expect a complete cure.” As DePaiva’s fight against Leukemia had been going on for many months , she then dropped a bigger bombshell on her fans. We want to take this time to send her nothing but positive thoughts and a big congratulations on the fight she has won against cancer! As many are not so fortunate, she definitely was and always will be such an inspiration to those who have and still continue to fight against cancer. As always, we look forward to seeing DePaiva back in Salem soon as Eve Donovan now that her health has returned. Kassie made her biggest splash in her soap career as Blair Cramer, a star on OLTL paired with Todd Manning (Roger Howarth). Kassie did several guest appearances on General Hospital as well as both shows were, and are once again, owned by ABC. With the current migration of former OLTL stars to General Hospital might we see Kassie back in Port Charles as Blair? Come back to CDL for all of your Days of Our Lives spoilers and news!